There are several funding programmes available to support innovation across Europe, including the UK, enabling commercial and research organisations to deliver R&D and commercialisation on an international scale. The programmes listed are by no means fully comprehensive, so for further information regarding the types of scheme available specifically for you, please contact our consultancy team. Further information regarding available calls can also be found using PNO’s innovation platform, Innovation Place. A funding programme for market-oriented research and development aimed at the participation of R&D-performing small and medium-sized enterprises. The programme has very strong average success rates per call: an average of 30% and up. Horizon 2020 (H2020) is the main European funding programme for research and innovation. It has a budget of €79 billion and will run until 2020. The programme aims to ensure that Europe produces world-class science, removes barriers to innovation and makes it easier for the public and private sectors to work together in delivering innovation. Supports close to market innovation activities that help participants to co-create and test breakthrough products, services or business processes that have the potential to revolutionise existing markets or create entirely new market. Part of H2020, this scheme supports close-to-market activities, with the aim of boosting highly innovative SMEs with a clear commercial ambition and a potential for high growth and internationalization. SME’s can apply as a single applicant or collaborative partnership, depending on the needs of the project. 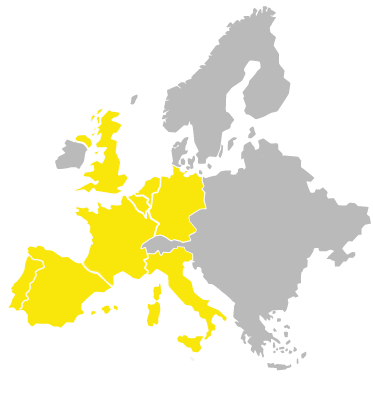 The Connecting Europe Facility (CEF) offers funding for transport projects across the European Union. CEF aims to ensure sustainable and efficient transport in the long-term, to optimise the integration and interconnection of transport modes and enhance the interoperability and safety and security of transport services.